It's morphing time! 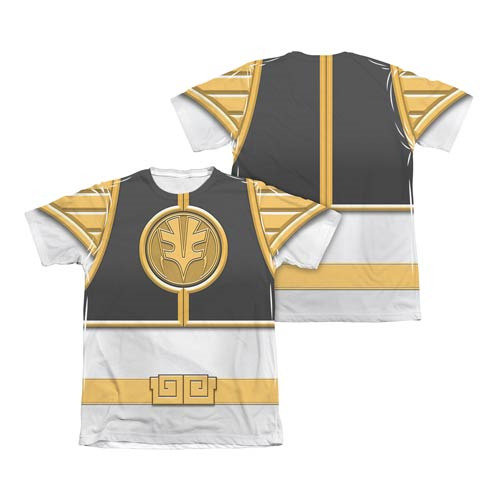 Become your favorite Power Ranger with the Mighty Morphin Power Rangers White Ranger T-Shirt. The Mighty Morphin Power Rangers White Ranger T-Shirt is hand-printed in the USA using a dye sublimation printing process that creates slight imperfections over seams or folds and are unique to and a part of each item. Made of 65% Polyester and 35% cotton.